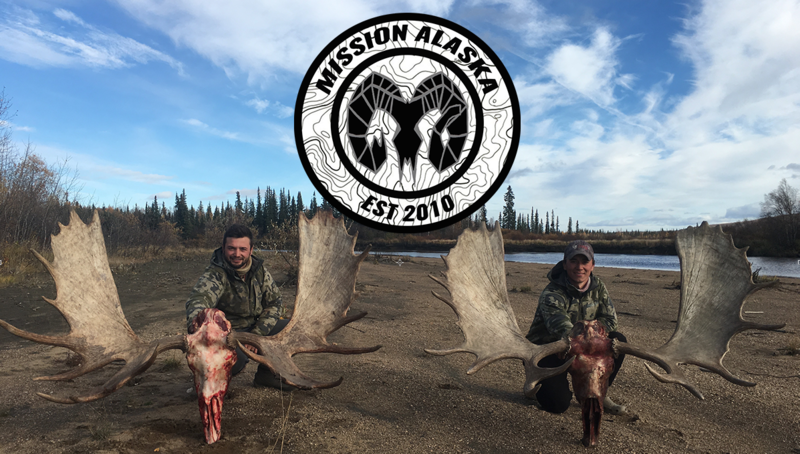 Well after it seemed like the computers would never start working, we finally have some of the footage from our most recent bear hunt in Alaska. This bear hunt, like most hunts, tried us to the ends. This hunt actually started a year ago and needs some back story. We had heard of a good spot for bears in central Alaska, and as soon as college let out for the summer we were on the move. 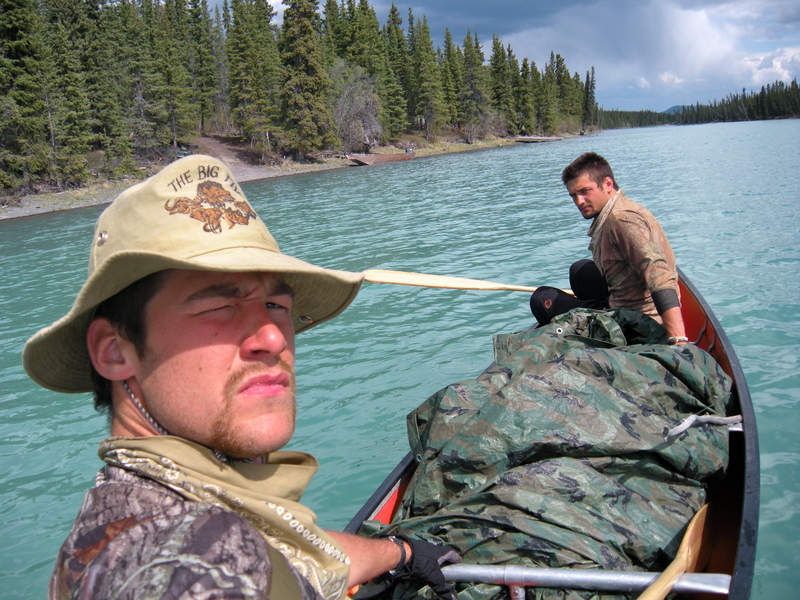 Our plan was to hunt a remote river bow and catch a big bear looking for food as he was waking up from hibernation. Well that was the plan but the bear never came….for TEN DAYS! We were exhausted, but still determined to get on some bears. We were not going to give up like that, so we contacted the local biologist and set up a meeting. They were extremely helpful and pointed us towards the Denali Mountain Range. There was rumor of a caribou calving grown and wherever there are weak and helpless newborn caribou babies, there will definitely be bears looking to for an easy meal. We loading up the truck and were on the move once again, headed towards the mountains. When we got to 13 miles away, we loaded up our Frontier Gear Packs and ditched the truck. We traversed 13 miles across rivers, over mountains, and through mazes of beaver ponds. It is safe to say that it was a sold 13 miles! We eventually got back to the caribou heard, set up a basic bivy camp high above the valley in the mountain peaks As two predator, we began to lurk the valley waiting for a bear to make a move. Three days later we got our chance. We woke up to find a monster 9ft. grizzly bear making his way towards the heard. We packed up and booked it down the mountain. We crossed the frozen lake and moved towards him. Austin had planned to take a bear with a longbow, and the opportunity was looking to present itself on a Boone and Crocket size bear. The adrenaline was pumping as we closed the distance, and we made it 30 yards away…now we needed to get whisper close. He was taking a nap in a snow pile on the side of the mountain, and we made our move. As we were on the final stalk, the glacial winds began to swirl. At 15 years he raised his monstrous head and stared us dead in the eyes. He took one big sniff and turned to run away. The willows starting shacking and turmoil set in. We immediately took off after him, but chasing a grizzly bear is a loosing battle. He quickly left us in the dust and was at 1000 yards within 30 seconds. We could had taken him with a rifle easily but we were dead-set on a longbow and come hell or high water… we going in with the longbow. That being said we missed our opportunity. We gathered ourselves and started the 13 miles back to truck. During that hike we decided that we had come to far to quit now. Heck, the packs were already packed and we were already out in the middle of nowhere, in Alaska…so lets go! We met back up with the same biologist and told them of our heartbreaking hunting story. Feeling pity on us they pointed us again towards a spot that was hot with bears. This time in southern Alaska. Once again we loaded the truck and were off. We were told we would have to cross a big lake and would need a boat. We are broke and don’t have a boat, so we borrowed a friends canoe and deiced we would have to tackle this mission old school. We paddled in to the spot and set up a camp. We stayed there for 6 days and saw nothing! It looked like a good spot but the weather was hot and the snow was melting quickly. This means the bears are spreading out and getting harder to see. Running low on supplies, we began to paddle out. As we were paddling, we spotted a bear far away on the beach. By the time we got there, he was gone. We were perplexed by what species of bear this was. It was a lighter brown color, but looked like a black bear…hmmmm???? We stayed curious the whole next year and geared up to go back this year to figure out just what kind of bears were at this lake. And that is what lead us to our most recent footage. Look for the video coming soon. ← The Ultimate Hunting pack: Deep Backcountry, deep.